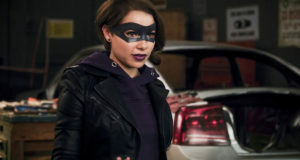 The CW is releasing a poster every day this week to promote next week’s four-show “Invasion!” crossover – photos from all four of the episodes can be found here – and today, The Flash got the spotlight. 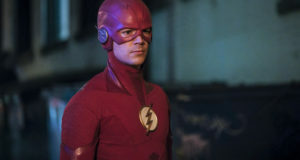 The Flash episode of the “Invasion!” airs Tuesday, November 29. 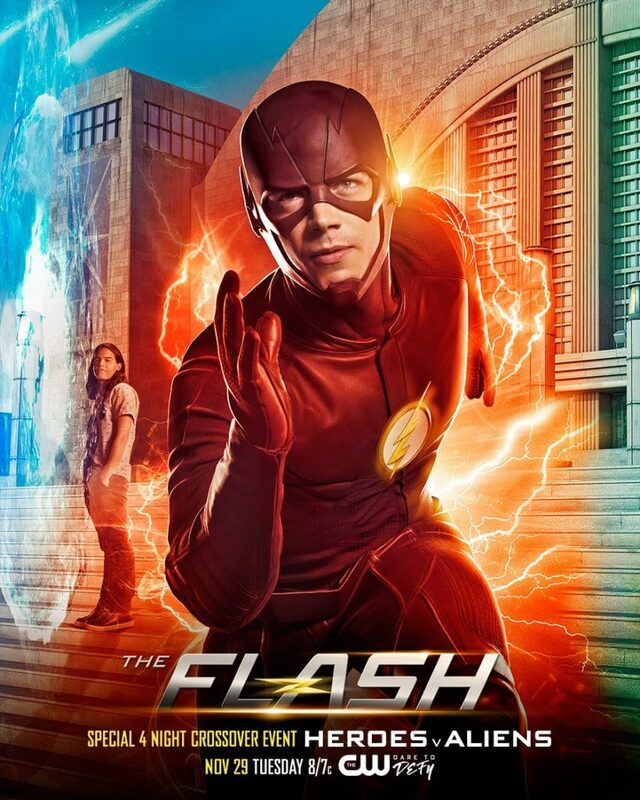 And, what do you know — that sure looks like the Hall of Justice behind Barry, doesn’t it? The “poster” for Supergirl can be found at KryptonSite. Visit GreenArrowTV on Wednesday and DCLegendsTV on Thursday for those posters as they become officially available. 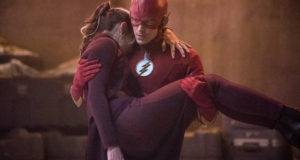 Previous: Killer Frost: Is Danielle Panabaker’s Caitlin Mad At Barry?